Accessing mental health services can be confusing, stigmatising and even frightening for some people and fear of the unknown may prevent them from seeking help when they most need it. To alleviate these types of concerns the Far West Local Health District has a new ‘wayfinding’ short film that allow service users, their families and the community to understand the pathways through mental health services and what these services look like. 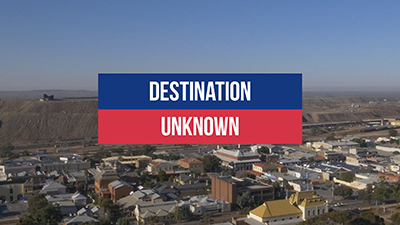 “Destination Unknown” introduces the viewer to the mental health services available at the Broken Hill Hospital in its Emergency Department and Mental Health Inpatient Unit (MHIPU), the mental health services in Primary Health and the Far West Mental Health Recovery Centre. “Accessing mental health often has stigma attached in smaller communities and not knowing how to reach out or what to expect from a service can often mean that community members may not access the MHDA service or understand what it might mean, or how the service looks,” said Tanya Clifton, Family & Carer Mental Health Coordinator. “Often we have people requiring hospitalisation in the MHIPU or a longer stay at the Far West Mental Health Recovery Centre who have to come in from Dareton, Wilcannia, Menindee, Ivanhoe, Tibooburra and Balranald and may never have seen the hospital, the MHIPU or the Recovery Centre. The videos allow people to see what things look like before they get here,” said Ms Clifton. The video can be viewed on the Far West LHD MHDA pages at http://fwlhd.health.nsw.gov.au and on its Facebook and Youtube page. It is for anyone to watch including service users, community members, families and carers and people wanting to access the service but who are unsure how to. “By watching the video, people can see what it looks like, understand how the system works. There may be times when they might need to encourage a family member to seek help and the video may help with this. Seeing what things look like and hearing what you can expect can make things less scary,” said Ms Clifton. The video was one of ten projects selected by the Far West LHD Arts In Health and Wellbeing to share in a funding grant given to the LHD by the NSW Government last year. It was produced by local filmmaker Jason King.